Need something for the walls of your “man cave” or reloading room? Check out these jumbo-size cartridge posters. The creators of the Cartridge Comparison Guide now offer three very large full-color printed posters. These can be tacked to a wall or matted/framed to hang like paintings. Three different posters are available. The Rifleman’s Classic Poster, a full 38 inches wide and 27 inches tall, is the most comprehensive. This $19.95 poster displays 272 rifle cartridge types at true size (within 4/1000 of an inch). 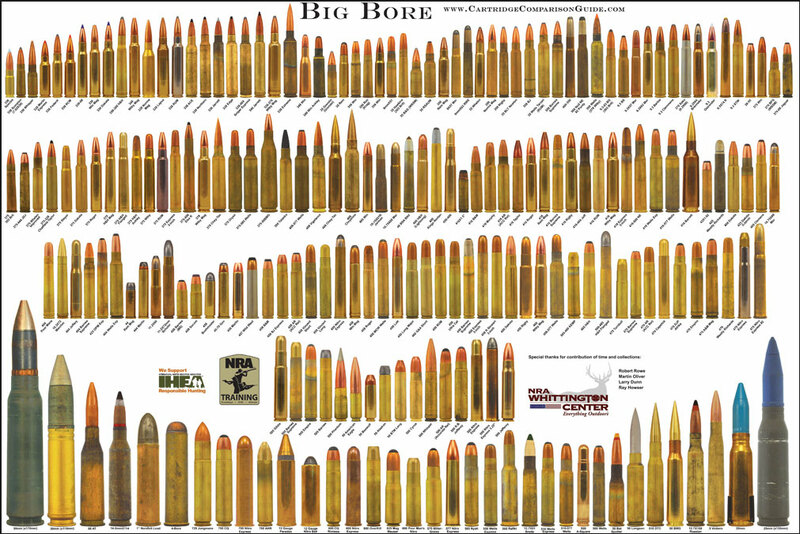 Cartridges shown range from .17 caliber all the way up to the big boomers (including some cannon shells). 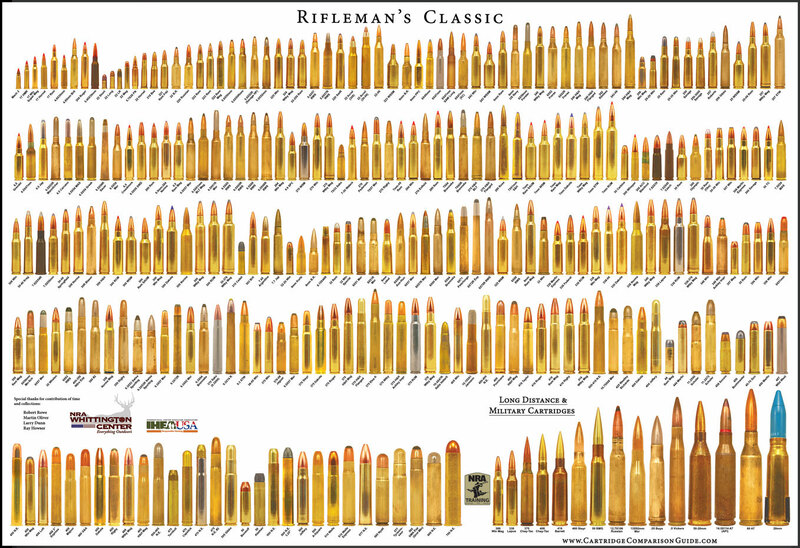 The Rifleman’s Classic poster includes all American Standardized Rifle Cartridges (as of 2013) and many European rifle cartridges. 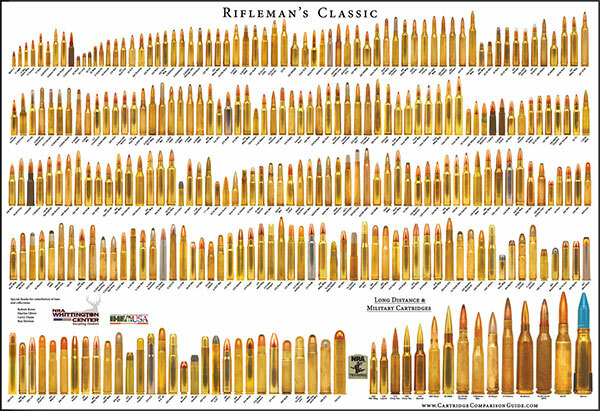 The poster is a good representation of military cartridges dating back to WWI and includes cartridges such as the 13X92mm MSR and the .55 Boys. 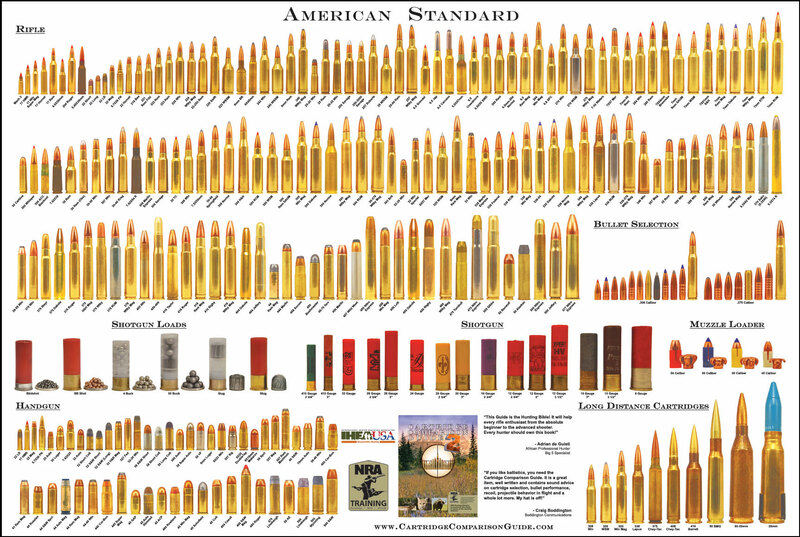 The 36″ x 24″ American Standard Poster displays 165 rifle cartridges, 55 handgun cartridges, and 9 different shotgun gauges. This includes all American Standardized Cartridges (rifle, handgun, and shotgun) available as of January 2012. All cartridge types are displayed in full color, actual size. 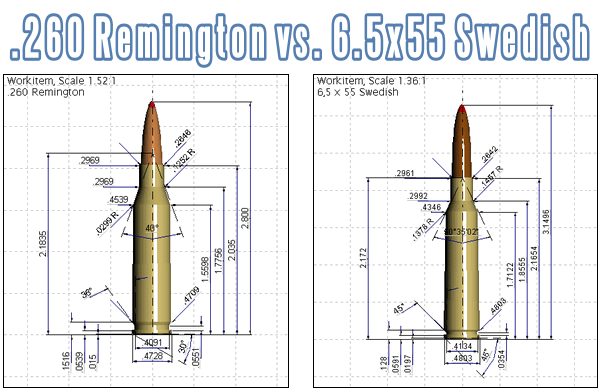 The rifle selection includes all standard hunting cartridges from the 17 Mach 2 through the .505 Gibbs and .577 Nitro. Bonus cartridges include the .375 and .408 Chey-Tac, .416 Barrett, .50 BMG, 50-20 and 20mm. The Handgun section covers cartridges from the 17 HMR to the 500 S&W. Shotgun cartridges include the .410 and 32 gauge up to the 8 gauge. NOTE: Wildcat, proprietary, and obsolete-historic cartridges are NOT included in this poster. The 36″ x 24″ Big Bore Poster illustrates over 215 large=caliber rifle cartridges, all shown actual size in full color. These include Standard, Historic, Military, Proprietary and Wildcat rifle cartridges side by side. 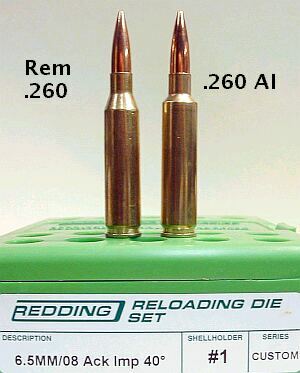 Cartridges illustrated range from the subsonic .338 Spectre up to the monstrous .729 Jongmans. The poster also includes historically significant cartridges such as the 12 Gauge Paradox, 4 Bore, 1″ Nordfelt, 50 BAT Spotter, .50 BMG, .5 Vickers, 12.7×108 Russian, 20mm, 25mm, 30mm and more. Share the post "Big, Full-Color Wall Posters Show Cartridges at 100% Scale"